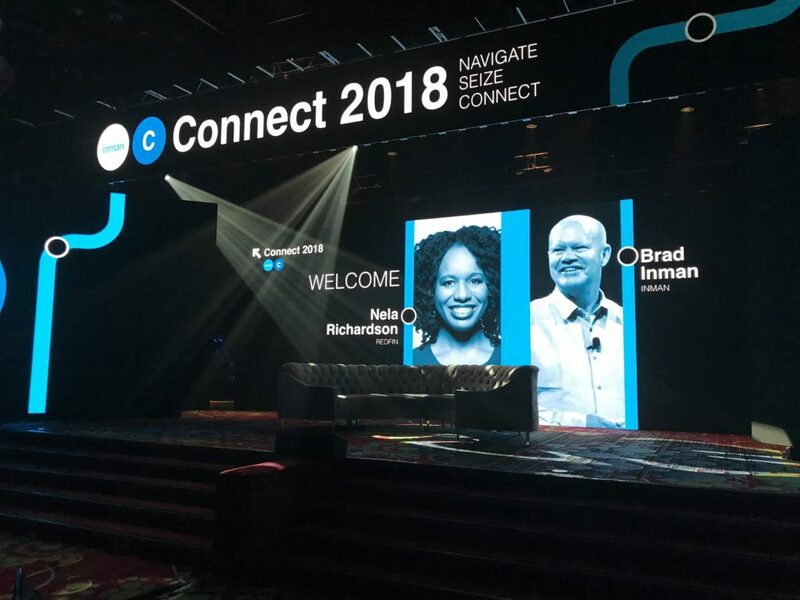 Bill Risser shares his experience attending Inman Connect New York. Bill Risser is the VP of Digital Strategy at Fidelity National Title and founder of the podcast called The Real Estate Sessions. 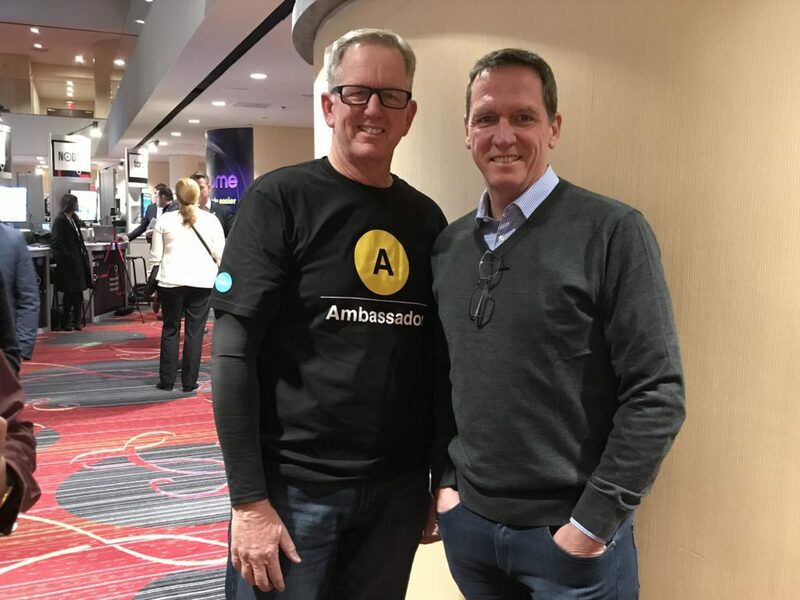 Here’s what Bill had to say about his experience at this year’s Inman Connect New York. Every time I attend Inman Connect New York, I am surprised by a session. By surprised, I mean I wasn’t expecting the content or the speaker to deliver such valuable content. Everyone expects Simon Sinek to bring it (he did) and Sally Kohn delivered a history lesson every agent should hear. These were no surprise. The surprise for me was from Eric Bryn, an attorney and strategic management consultant in the real estate industry. His presentation during Tech Connect, The On-Demand Consumer: What They Expect and Want, was fascinating. Eric delighted the science geek in me the moment he showed a slide with the terms Ziergarnik Effect, NetBrain Effect, dopamine and the pleasure pathway. Eric laid out the scientific reasons for staying connected to our customers and why so many don’t. I now understand the biology of rapid response to questions from consumers/clients, and knowing the why makes it easier for me to deliver better service. I am looking forward to my next “surprise” this summer in San Francisco. For me, this Connect was the tale of two camps. On the one hand, the disruptors, whether a brokerage like Compass or the iBuyers like Opendoor, Knock, OfferPad and Purplebricks, delivered their messages in multiple sessions. On the other hand, many presenters, Jay O’Brien, Chelsea Peitz, Katie Lance quickly come to mind, reaffirmed the importance of connecting, relationships and authenticity. This divide is not new at a Connect event, but the distinct differences between the two camps were more visible, in my opinion. I have shared with many people the presentation by Jay O’Brien of Orange County, California. His talk was “Delivering 7-Star Service in a 3-Star Industry.” He focuses all of his resources (and money) into creating an unforgettable experience for his clients. He spends no time or money prospecting but goes all in on generating referrals due to the care he provides during the transaction. On the listing side, this includes a series of repeatable touch-points throughout the transaction. Some of these include a bottle of champagne after the inspection period has passed, moving boxes and supplies delivered to the seller’s doorstep a couple of weeks before the close, a service to help with utility transfers, and he wraps up with an Uber ride to dinner a month after the close. Jay’s high energy presentation was excellent, and no matter the average sales price in a market, some form of this 7-star service can be created to set an agent apart. The Friday half day session has been a bit of a hit and miss for me over the years I have attended Connect. I have seen Luxury and International spotlighted in the past, and these have a narrow niche and, for me, failed to deliver the value the rest of the week provided. This year, the Capital Connect Friday session was a grand slam. From the first session “Drawing the Real Estate Heat Map”, where Matt Harris of Bain Capital detailed the venture capital flowing into the industry ($200m in 2012 to nearly $3 billion in 2017) to Pete Flint predicting the demise of slow-moving big brand brokerages within 10 years, to a look at private equity moving into the single-family rental market with technology like Roofstock, I was captivated by the level of expertise gracing the Connect stage. I believe Capital Connect needs to become a regular Friday event at every Inman Connect. There were plenty of events outside the speakers and sessions. Parties, dinners, Ambassador lunches and more. One experience stood out for me. Tuesday night in New York has become the annual pilgrimage to O’Hara’s Restaurant and Pub. O’Hara’s is two blocks from the World Trade Center Memorial. It survived the 9/11 attack and became a place first responders relied on for food, drink and rest during the days immediately afterward. Today, over 6000 patches from Fire, EMT, and Police departments around the world are stapled to the walls of O’Hara’s. This was my first trip to O’Hara’s and a good friend of mine, Jay Thompson, agreed to walk the 3.7 miles from Times Square to the memorial. The weather accommodated us, and Jay and I caught up on work, friends from Arizona, and our families over the hour-plus it took us to move down Manhattan. As we approached the Memorial, we noticed how quiet and peaceful the place is at night. No more than a dozen people were there as we reflected on the memories of that day and the days after. After 15 minutes or so, we headed into O’Hara’s where we joined old friends, made new ones, and even helped attach a patch from a police department from a small town in Massachusetts. It is a night I will never forget. Want to connect with Bill Risser? Follow him on LinkedIn.